Water softening can result in a significant improvement in the quality of the water in your home. 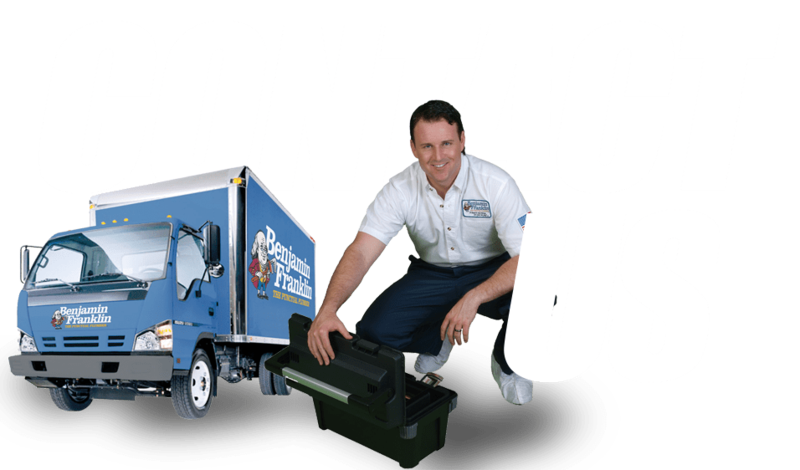 At Benjamin Franklin Plumbing, we offer premium products and installation services to homeowners throughout the Greater Chardon area. Our technicians can help to determine the cause of hard water and come up with a solution that meets your needs and budget. Hard water often results in slow-flowing pipes, an accumulation of soap scum, and overall difficulty getting things clean. This is because metals, hard ions, and other contaminants are raising your water’s pH balance. Water softeners work to remove these impurities to provide you with cleaner water. We can help to install a softener that’s right for your home no matter how extensive the problem may be. Turn to Benjamin Franklin Plumbing for all of your water softening needs. We offer a range of different products in Chardon, OH. Our punctual staff will be committed to providing you with high-quality workmanship throughout your project. We’ll work hard to install systems efficiently and clean up the work site before we leave. Call us today to see what softener systems we offer and schedule an estimate for your home. Turn to Benjamin Franklin Plumbing for all of your water softening needs. We offer a range of different products in Chardon, OH. Our punctual staff will be committed to providing you with high-quality workmanship throughout your project. We’ll work hard to install systems efficiently and clean up the work site before we leave. Call us today to see what softener systems we offer and schedule an estimate for your home.